Bloke In A Field…. Francis Egan whinger of the decade 0.5 Richter Scale previously adequate to the traffic light system Strangling the fracking industry at birth Highlights the magnitude of Egan’s ignorance, incompetence, arrogance and hubris. 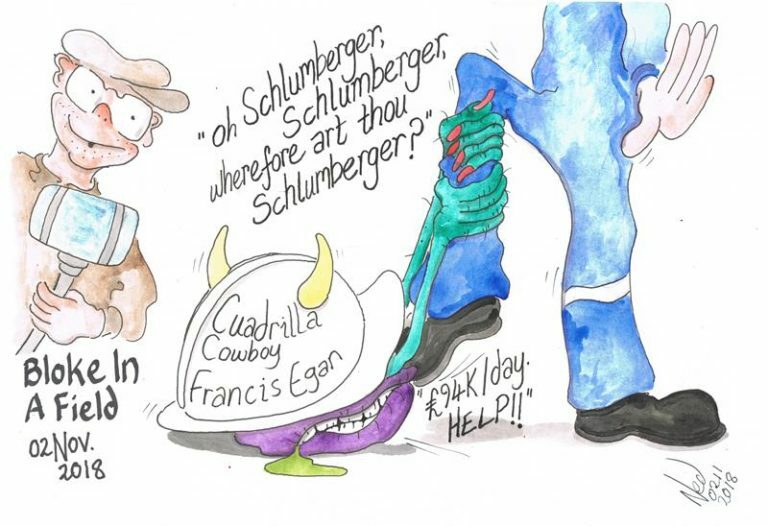 It costs £94K per day everyday not fracking On site the oil field service company Schlumberger Schlumberger greatest level … Continue reading Wherefore Art Thou Schlumberger?